I’m starting with Jennifer’s handy command center. 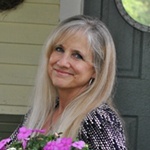 Jennifer blogs at Clean and Scentsible and is the expert of all experts when it comes to organizing your home. Seriously. Everyone who wanted to win the book needs to subscribe to her blog! She’s amazing. Krista at The Happy Housie not only has an organized bathroom; she has a beautiful bathroom! 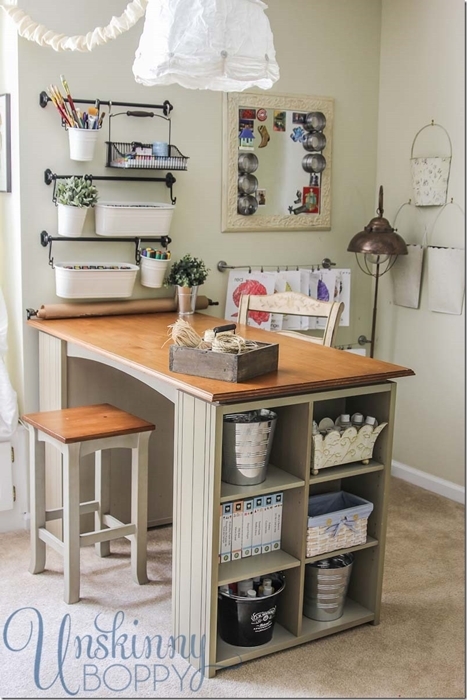 Beth at Unskinny Boppy shows how sweet and cute an organized craft room can be. Metal tins suspended from the wall keep craft items within arm’s reach. 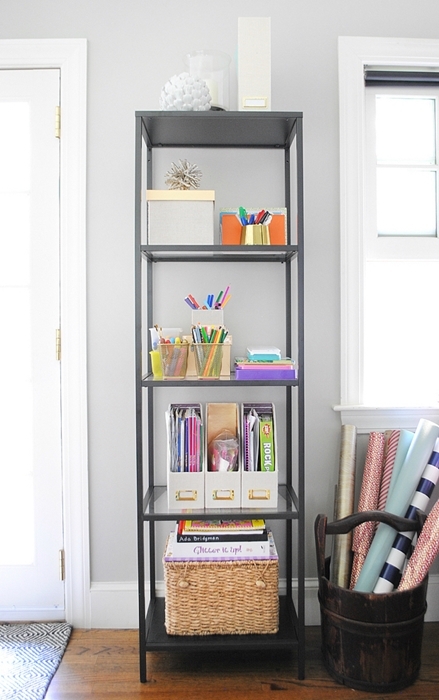 Extra storage at the end of the desk is handy for larger items. Speaking of craft supplies, Jennifer at The Chronicles of Home shares easy home organization ideas for keeping kids’ craft supplies under control. 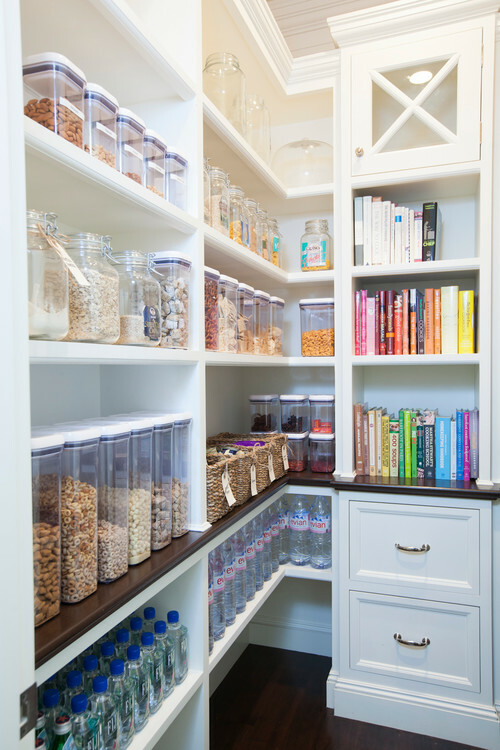 Need to organize your pantry or kitchen cupboards? 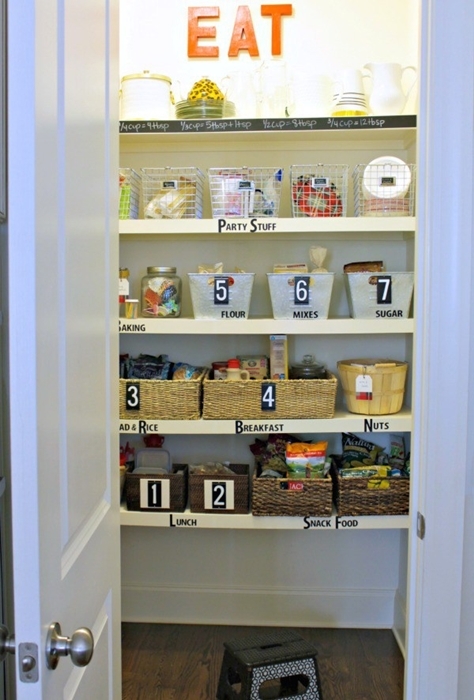 Carmel at Our Fifth House shares easy solutions like grouping supplies in labeled baskets. How many times do you dig through cans of soup just to find the tuna you’re looking for? Happens to me all the time. I need Carmel’s baskets! 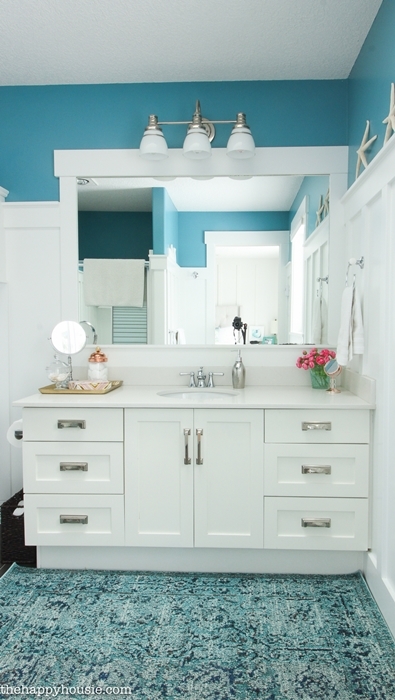 I found a few more easy home organization ideas over at Houzz. Like these clear plastic vessels to store cereal or other sundries. Boxes always collapse and become misshapen in the cabinet. See-through containers make it much easier to find what you need. Never lose your keys with a handy end-cabinet storage unit. 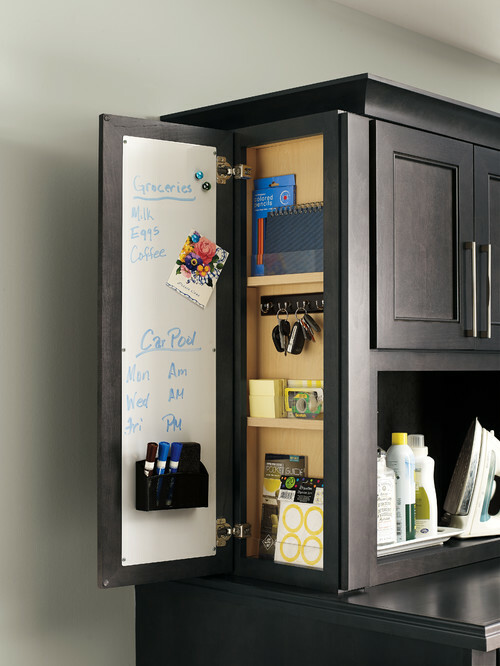 A small whiteboard allows room to write important messages to family members. I. Need. This. I’m so tired of battling my pots and pans that are stored on the lazy Susan in my corner cabinet. 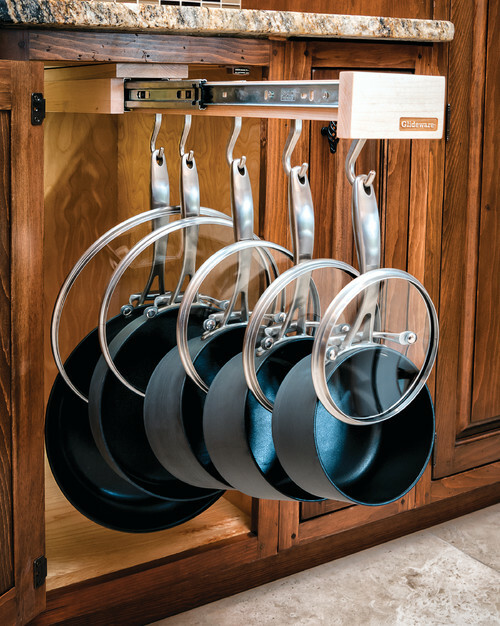 This hanging option to separate pans from their lids is a much better way to achieve easy home organization! These next two linen closets remind me of my mother’s. 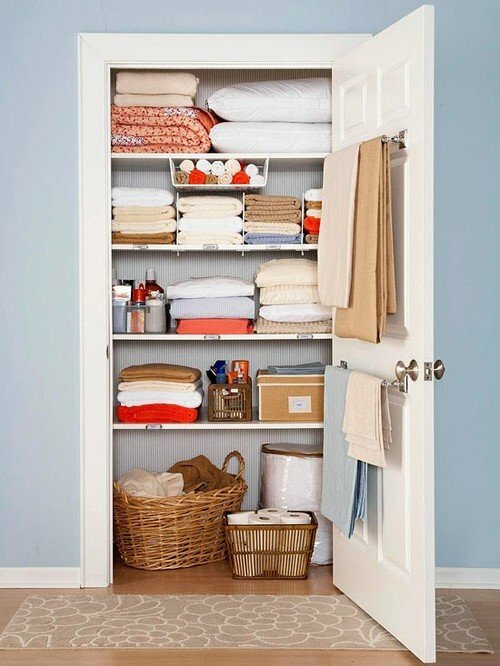 When we were kids I remember having to leave the linen closet how we found it. My mother always folded her towels a certain way, with the folded edge facing out. If we ever left the unfolded edges facing out, we got a talking to. Mom said it made the closet look messy, while I was thinking that the door is shut anyway so who’s gonna know? 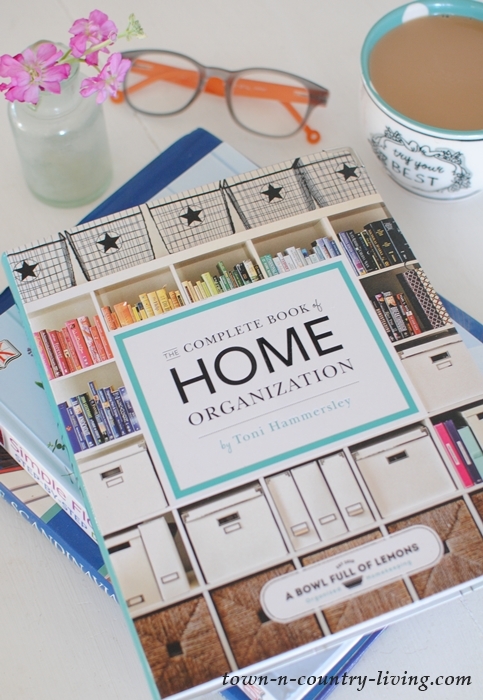 It’s time to announce the winner of The Complete Book of Home Organization. If you’re not Katie and wish to have a copy of the book, you can order it on Amazon. 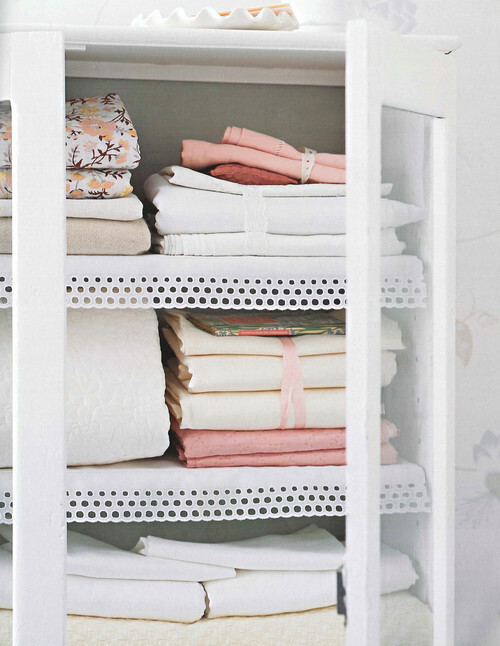 Thanks for showing us some of these practical storage ideas. 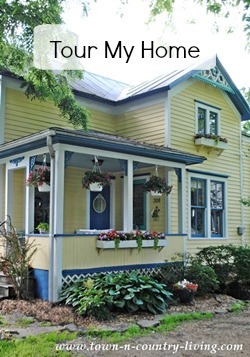 I didn’t win the book (boo hoo) but I already feel a little more organized by today’s blog. I really like the craft room picture. I am putting the book on my Wishlist! 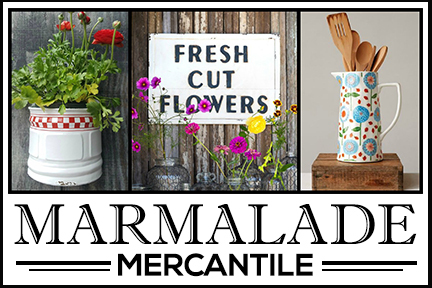 I love these organisational posts – organisation makes life so much easier. It is very stressful when you can’t find things and choas abounds. An organised home/office/whatever is soothing and pleasant and makes one more productive, I feel. Congratulations to Katie! Right after we moved in here my hubby installed organizing things for my pots and pans and it is a Godsend. I also have ALWAYS used turntables in my pantries for canned goods, salad dressings etc. It is the BEST solution, to me. You just spin it and whatever you need is at your fingertips. I also keep a basket on the floor for bags of chips, pretzels etc. I am Katie B! Haha! Thank you so much for hosting this give-away. 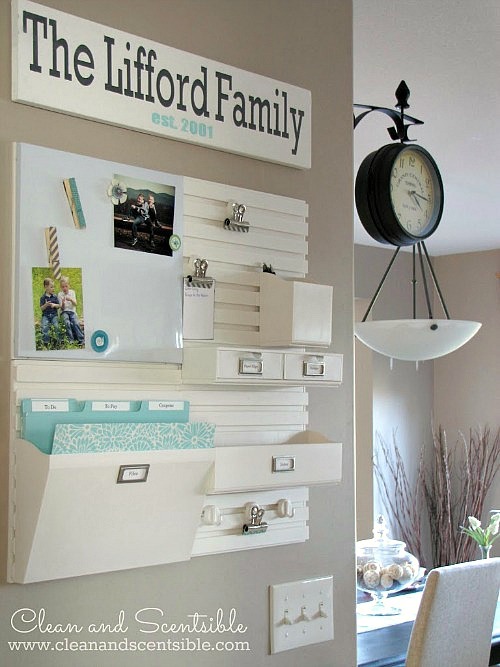 I am so excited to get even more organized in my home. I feel that we have taken the entire house to a certain point and now I need to learn how to maintain and even fine-tune my organization in each room. 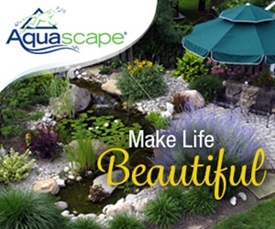 This will be especially helpful as my five children get older and take on more cleaning responsibilities! I loved the simplicity of the Swedish designer’s home, but it was a little cold for me, considering the lack of sunshine and harsh winters they have. Each to their own, and thanks for featuring it. Just came across this article. Thanks for sharing our photo of the end-cabinet storage unit. Keep up the great work.